1. 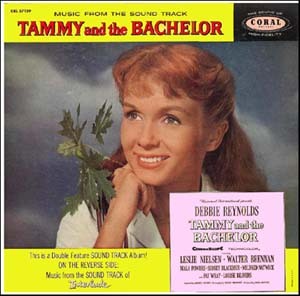 In this song,Tammy sings of being able to hear "the breeze from the bayou." What sounds can you hear as you answer these questions? 2. This week's song was the theme of a popular movie about a girl who grew up on a houseboat in Mississippi. Looking back on 2016, did you spend much time on or around water? 3. In addition to being an Oscar-nominated actress, this week's artist, Debbie Reynolds, was a big movie fan. She amassed an amazing cache of movie memorabilia. Do you collect anything? 4. Though she never won a competitive Oscar for acting, Debbie Reynolds was awarded the Academy's Jean Hersholt Humanitarian Award earlier this year for 60 years of charity work. While she supported many causes throughout her life, one she was closest to was The Girl Scouts. She was not only a Scout herself, she was a leader when daughter Carrie was young and a fundraiser throughout her life. Were you ever in Boy or Girl Scouts? 6. The New Year's Eve fireworks celebrations in both Disney World in Florida and Sydney, Australia coordinate pyrotechnics and music. Are you expecting either fireworks or live music on your New Year's Eve celebration? 7. According to the National Insurance Bureau, more cars are stolen on New Year's Eve than any other single day. Are you confident your vehicle(s) will be safe and sound this Saturday night? 8. Do you have any New Year's Resolutions for 2017? 1) This beloved carol takes its lyrics from a French poem. What else can we thank the French for? 2) How well do you know "O, Holy Night?" Without looking up the lyrics, could you sing along with Ella? 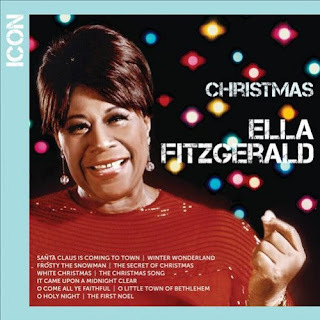 3) In order to get this record into stores in time for Christmas 1967, Ella had to record this in late July. So let's reverse that. Now that it's Christmastime, what do you miss most about summer? 4) Sam is crazy about the open toed pumps she'll be wearing to holiday parties, but that means she needs to get a pedi. Will you be at a salon between now and year-end? 5) Will you be consuming any egg nog this holiday season? And if you do, will it be spiked? 6) Thinking of holiday cuisine, what's your favorite Christmas cookie? 7) Sam knows she will get a bottle of red wine from her boss, because that's what he gives his staff every year. Is there a gift you can count on receiving? 8) What one gift would you most like to receive this year? Do you think anyone will get it for you? 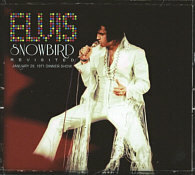 1) In this song, Elvis wants the snowbird to fly away and take the snow back with her. Have you seen a measurable snowfall yet this season? 2) Drivers in snowy climes are encouraged to keep salt, sand or kitty litter in the trunk because those items can help a car regain traction in the snow. Do you have an emergency kit in your car right now? If so, what's in it? 3) Back in 2007, North Dakota set the world record for the most snow angels made at one time (8,910). Do you enjoy playing in the snow? 4) Chionophobia is the fear of snow. Astraphobia is the fear of thunder and lightening. Lilapsophobia is the fear of tornadoes and hurricanes. Do you have to cope with any of these fears? 5) Elvis' daughter Lisa Marie split her childhood between Memphis and Los Angeles, so she seldom saw snow. 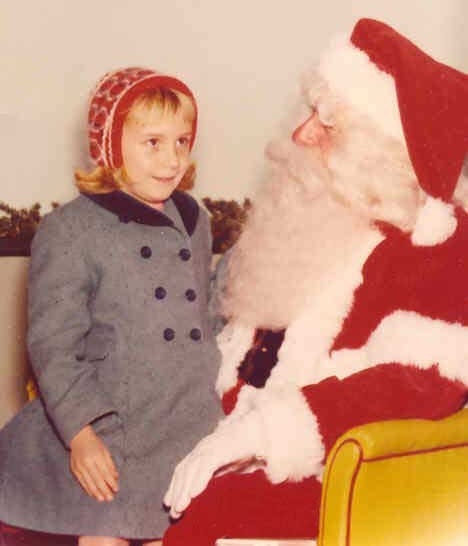 When she was a little girl, she was whisked her off to Denver in her father's private plane so the two of them could spend an afternoon playing in the snow. If you could take off and spend the afternoon anywhere in the world, where would you go? 6) At home and onstage, Elvis refused to wear jeans and only wore denim if a film role demanded it. This is because when he was young, classmates teased him for "dressing poor" in jeans and coveralls. What did you wear to class when you were in grammar school? 7) Elvis and President Jimmy Carter are distant relatives (the President is the sixth cousin of the King's great grandfather). Your turn: Tell us about one of your more interesting relatives. 8) In 1971, when Elvis released his recording of "Snowbird," You're a Good Man, Charlie Brown was a hit on Broadway. Who is your favorite Peanuts character? 9) Random question: You receive a gift certificate from a gourmet food company that can be redeemed for one of these three things: 1 lb. of caviar, 5 lbs. of steak or a 10 lb., live lobster. Which would you choose? 1) When were you last breathless? 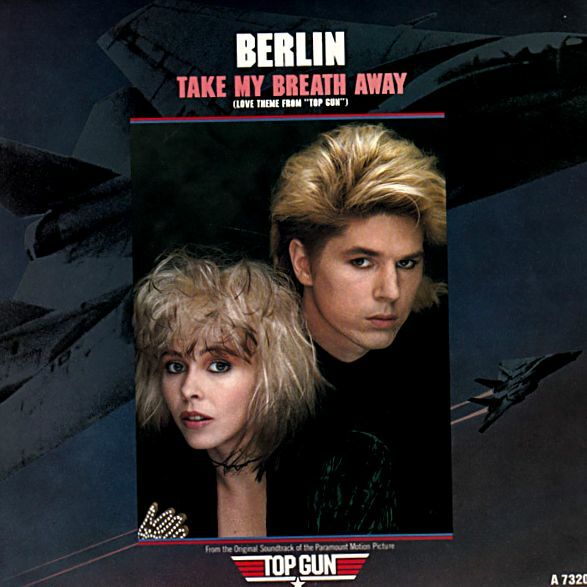 2) This is the love theme from Top Gun, and the romance was between a pilot and his instructor. Have you ever had a crush on a teacher? 3) The pilots in Top Gun all had cool nicknames -- including Maverick, Goose, Merlin, Cougar and Stinger. Give yourself a cool pilot name. 4) The actress who played the instructor, Kelly McGillis, owns Kelly's Caribbean Bar/Grill and Brewery in Key West. It's known for its cheese and beer dip appetizer, served with warm pretzels. What's one of your favorite between meal snacks? 5) The group who recorded this week's song is called Berlin, but they're really from Southern California. Have you ever been to Berlin? How about Southern California? 6) Lead singer Terri Nunn has a weekly radio show, Unbound on KCSN. How often do you listen to the radio? Do you tune in for music, comedy, news or talk? 7) In 1986, when this song was popular, PeeWee's Playhouse premiered. While ostensibly for children, PeeWee Herman's show had many, many adult viewers. Do you watch still watch any kid's shows? 8) Robert Pattinson, the actor who played Edward the vampire in the Twilight series, was born in 1986. Have you read the Twilight books? Seen the movies? 9) Random question: In an alternate universe, which of these professions would you like to find yourself in -- United States senator, Ivy League professor, or imminent psychiatrist?